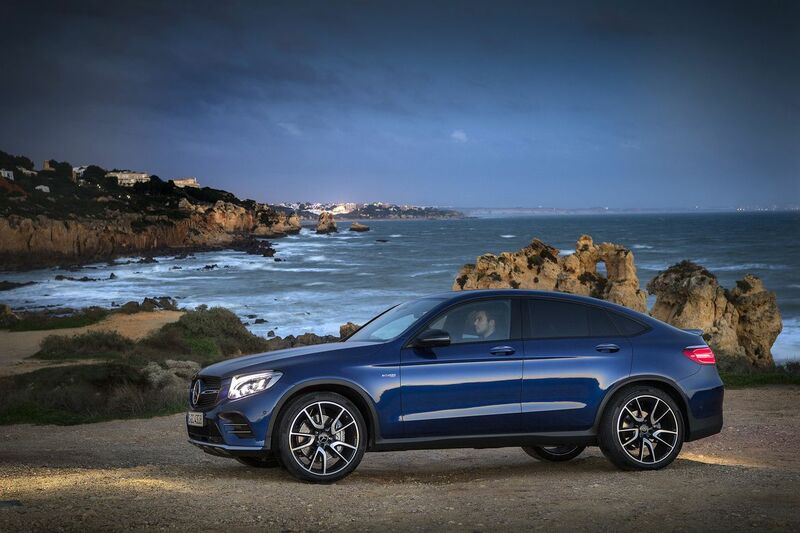 The junior AMG engine has been thrown in to Merc's brand new GLC-Class Coupe. 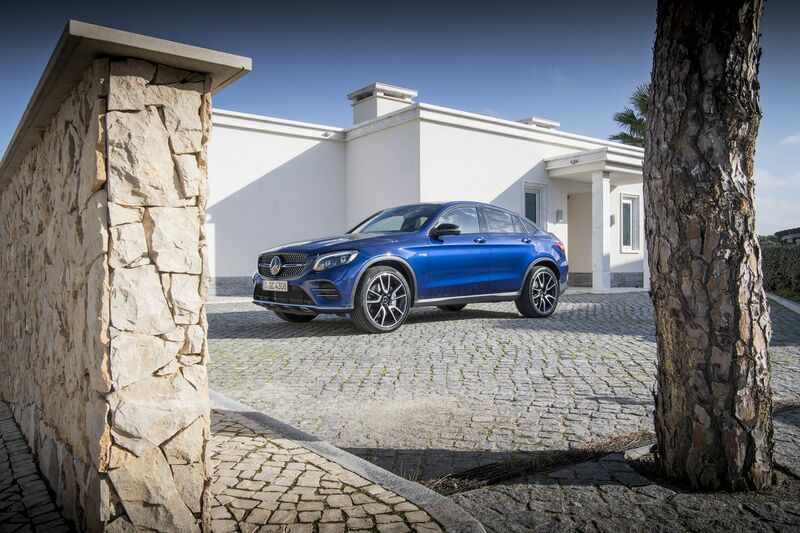 Does some AMG trickery make it a serious contender, or is this an AMG too far? 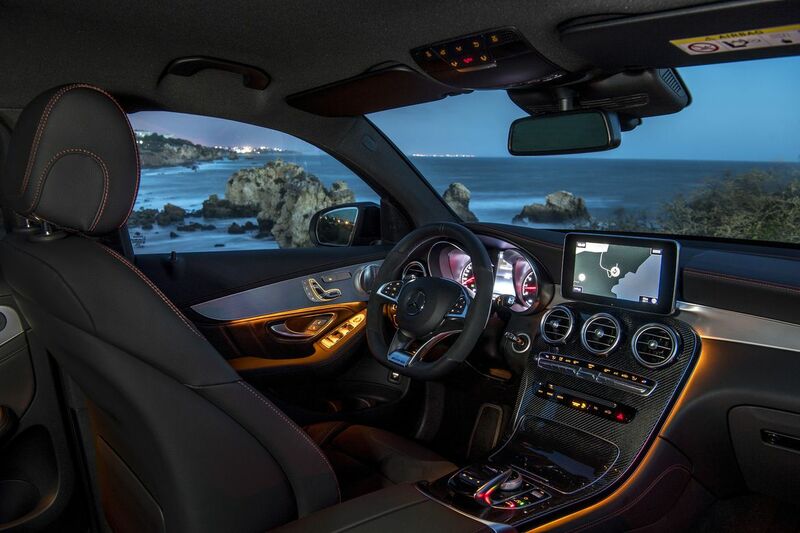 You have to admire Mercedes-AMG. 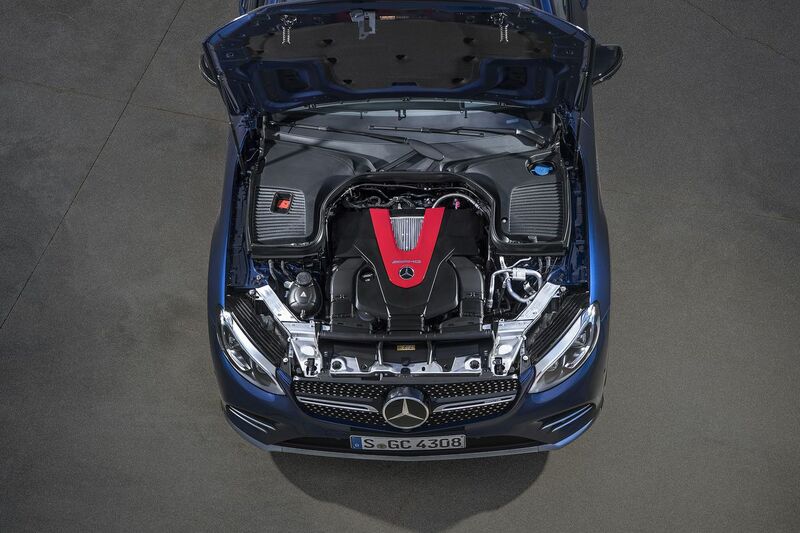 If a car has a three-pointed star on the nose, at some point they'll throw a big engine in it, give it some visual tweaks and sell a ton of it. 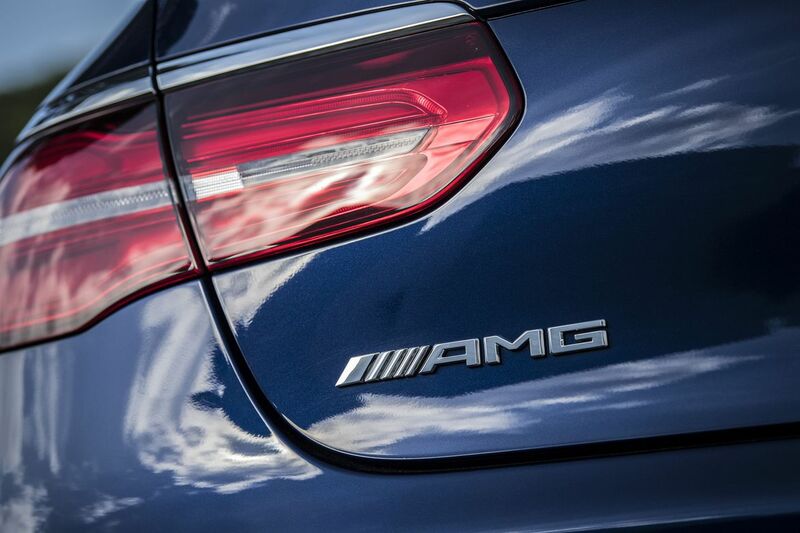 Does AMG's tendency to AMG all the things dilute the impact it could have with its more serious kit? I'll leave that to you to decide for yourself, but I'm leaning towards yes. 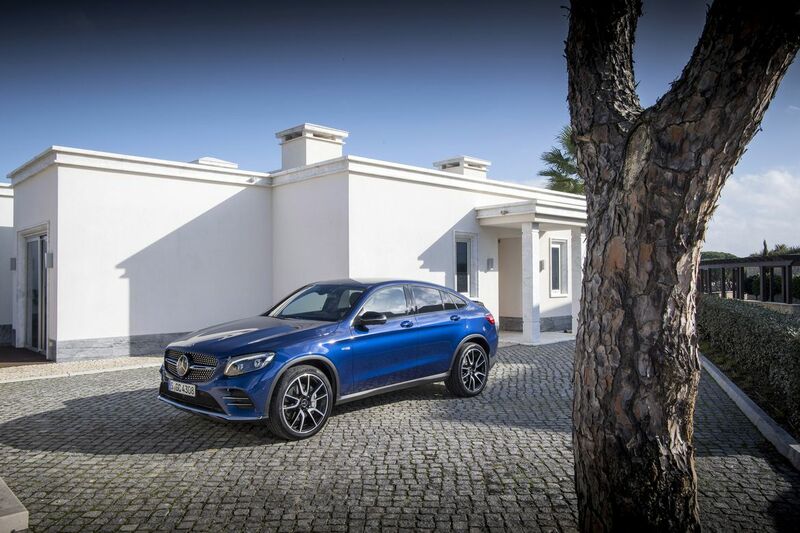 The latest Merc to get the AMG treatment is the GLC Coupe, a small SUV with, um, polarizing looks. If you want an SUV, buy an SUV. If you want a coupe, buy one of those. 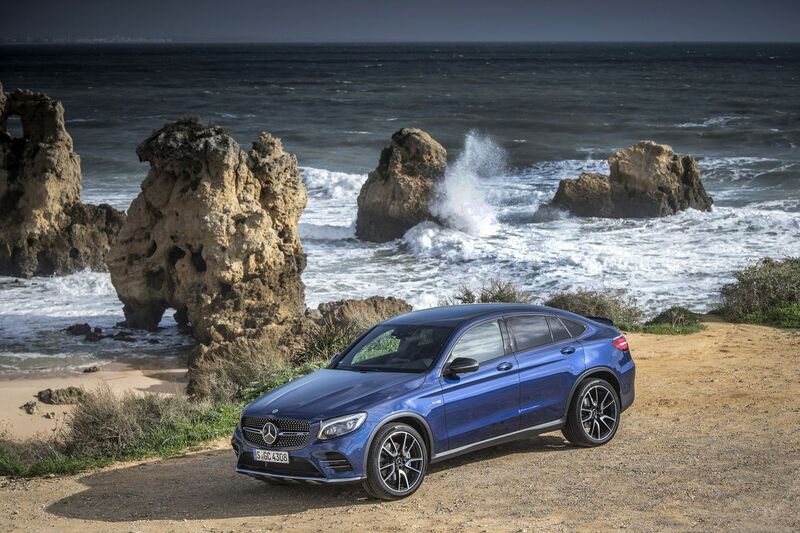 Sticking a slanted roof on the back of a high riding, off-road-ish car and calling it a coupe makes it neither SUV, nor pretty. It's a compromise for the sake of imagined style. 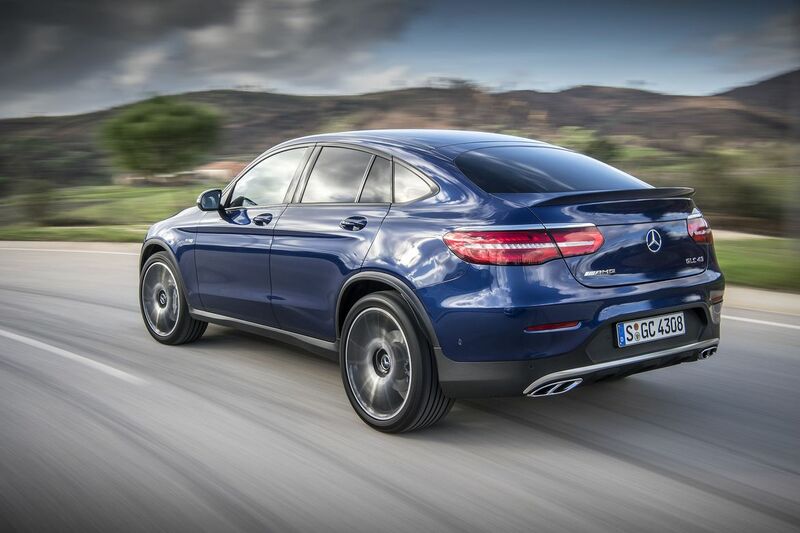 It looks ungainly, even with AMG's styling tweaks to the wheels, spoiler and so forth. Should anyone I know buy one on the strength of its looks, I'll be in a hurry to delete their number. The inside is pretty enough, albeit a touch overdone. 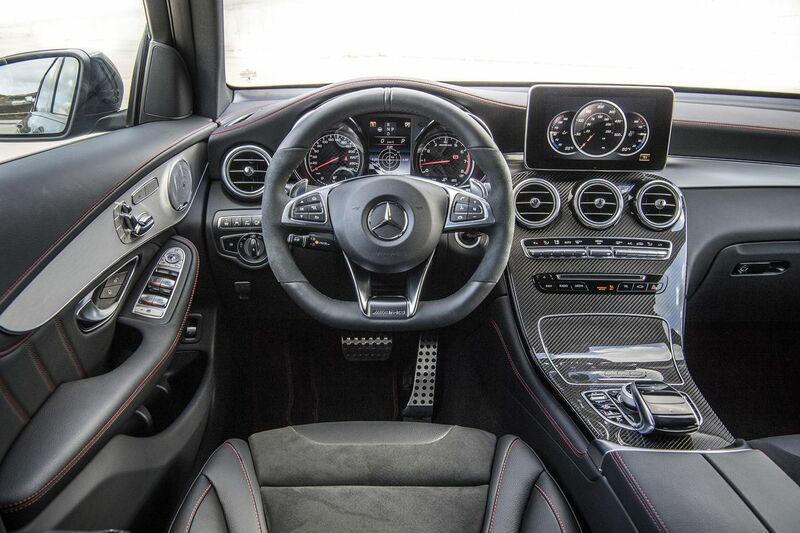 The carbon fiber trim, while showing the AMG potential, doesn't fit the look of the cabin particularly well. Merc's COMAND system is all present and correct, and as usual I couldn't get my head around its touch/wheel control system. The infotainment screen looks like a design afterthought as well -- did they forget to design one in the first place? It looks like someone's glued a tablet to the dash. The seats are infinitely adjustable, so you can get comfy, but I couldn't find a single position that meant I could see well out of either the front or rear. 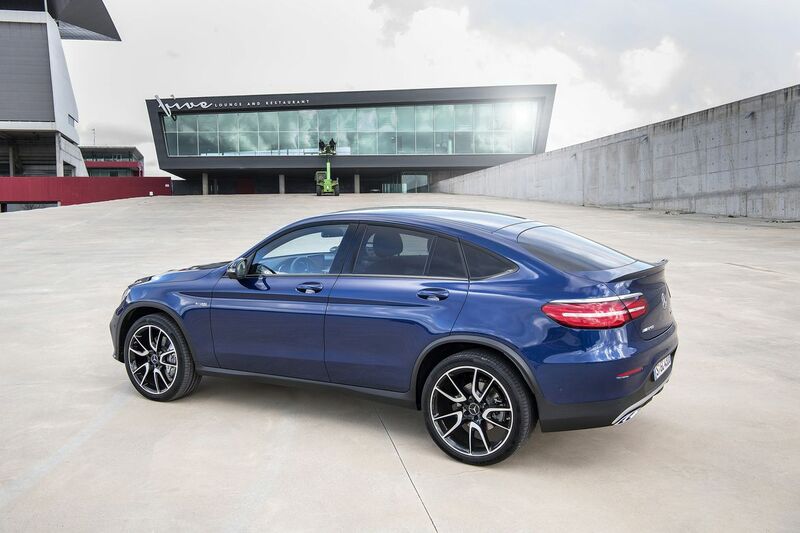 The GLC Coupe's odd dimensions mean the windshield is very wide but quite stubby -- so you're riding high but peering through a letterbox. The rear window may as well not be there for all the visibility it provides. The fashion-forward sloping rear roofline is so slanted that you can see the sum total of chuff-all through it. Thankfully, the test car I played in had cameras galore for awkward reversing maneuvers. So it's ugly, hard to see out of, has a fiddly infotainment system that looks like an afterthought and it gets an odd trim to show off its sporting pretensions. Is it a proper sports car? Or does it have a bit of extra go and a fancy badge to make other people in the school car park jealous? Its 3.0-liter turbocharged V6 gives you a healthy 362 horsepower and 383 pound-feet of torque, which means it'll hit 62 mph from nothing in 4.9 seconds and go up to an electronically limited 155 mph. Not bad at all. 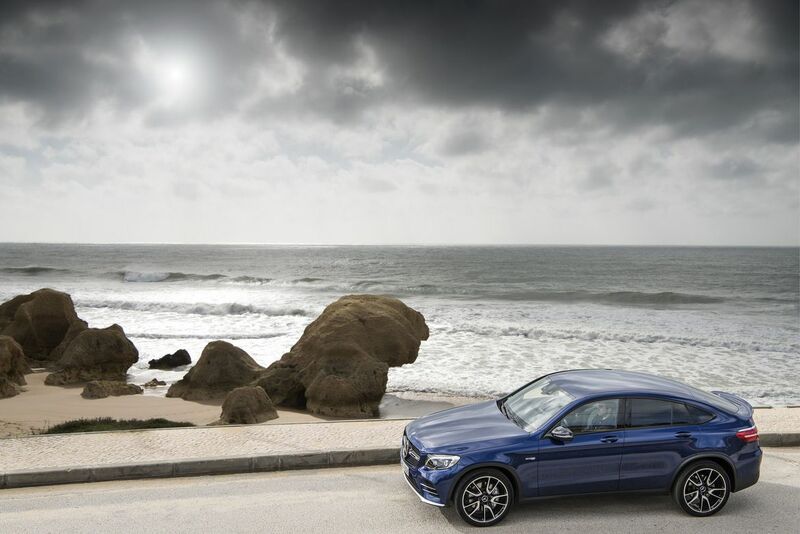 On the road, in Sport+ mode and with some space to play with, you certainly feel the power if you give it a bootful. 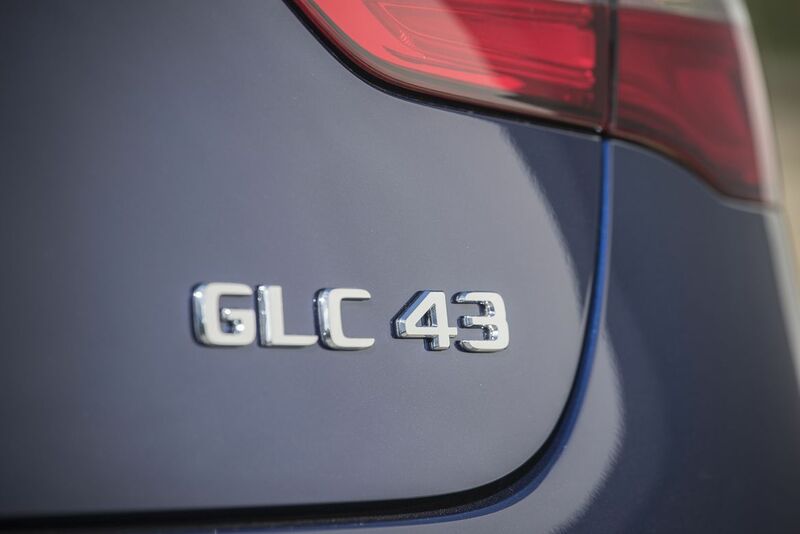 If anything, the GLC43 Coupe feels fast in a straight line. 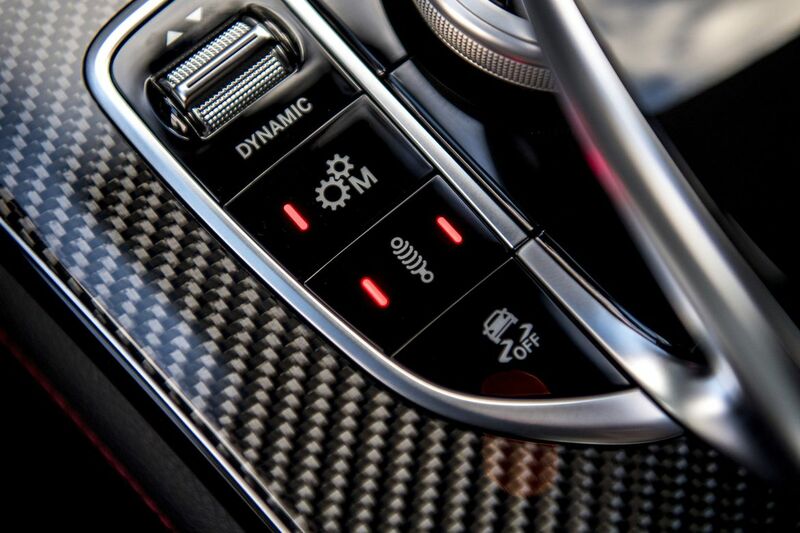 As we've come to expect from modern fast cars, there are a number of driving modes from which to choose. 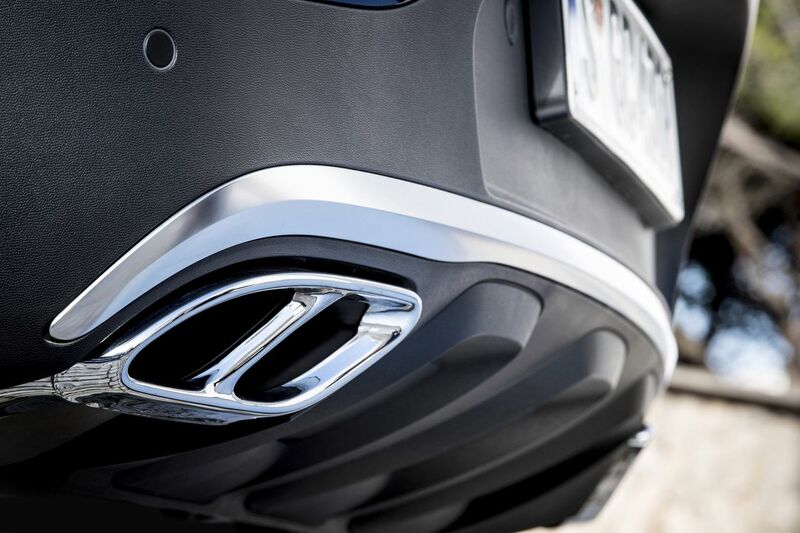 Eco makes things boring, Comfort allows for smooth progress but removes any character from the car, Sport sharpens the whole thing up and lets its engine sing, and Sport+ takes Sport and makes it more. Its suspension in Comfort is smooth and comfortable, but it makes cornering rather squishy. 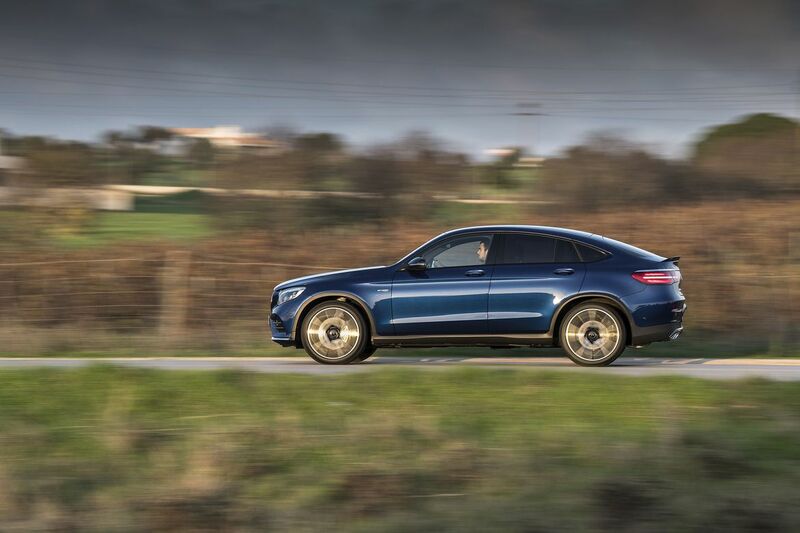 Sport and Sport+ make the car firmer, so you can go into bends with more confidence, but an AMG GT it is not. It won't set your hair alight on a spirited drive home. 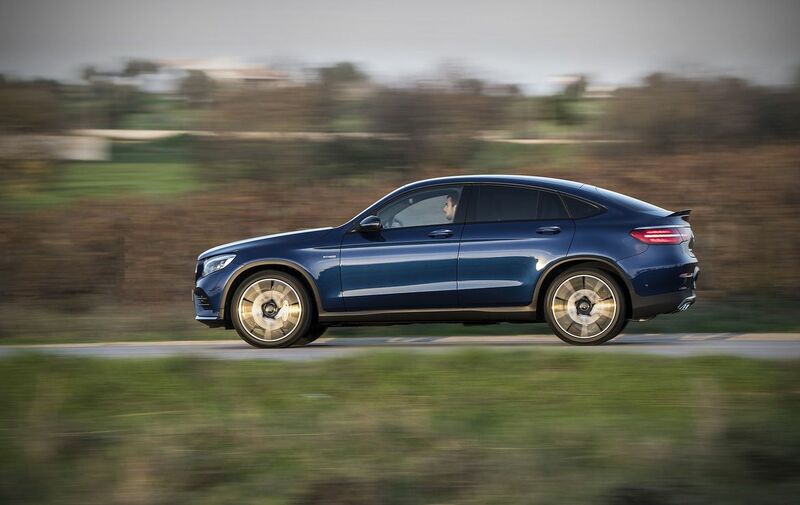 Its engine, the aforementioned 3.0-liter turbocharged V6, isn't too audible when the car is in Comfort, so most drivers probably won't hear it. Flick the car into the fun modes, though, and it'll sing the song of its people. Its people are angry, slightly flatulent bees. It's quite entertaining, and lifting off causes faint crackling and popping to echo through the cabin. 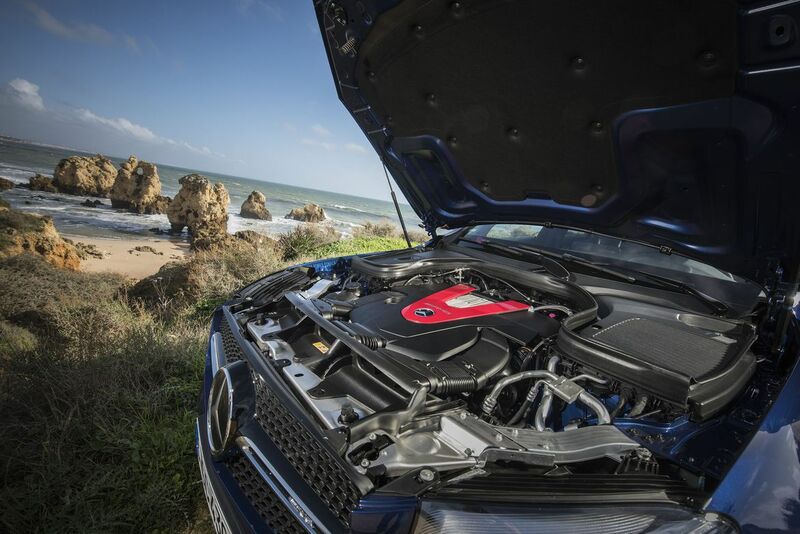 If anything, it could be a bit louder -- it's an AMG, after all. 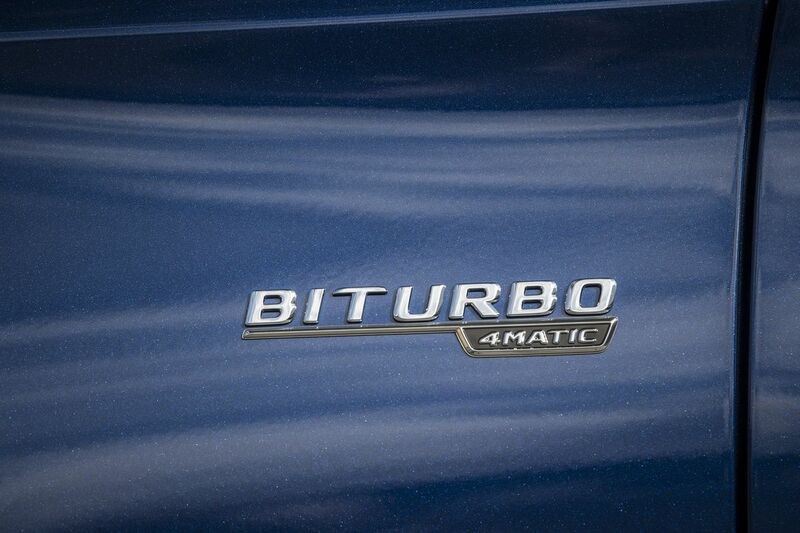 Swapping gears comes courtesy of a nine-speed automatic. It's smooth when you're on the motorway, it can be a bit grabby when you're in a hurry. It's not the best in the world, but it's far from the worst (Lexus, I'm looking at you). 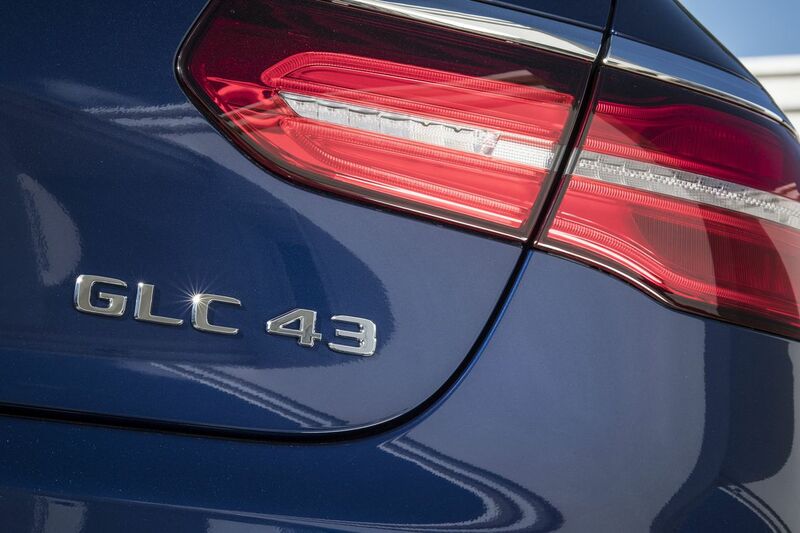 AMG's -43 cars are akin to Audi's S models. They're quick-but-not-as-quick-as-they-could-be cars that offer certain kudos in the car park and have enough grunt to make your mother's face go all funny when you boot it. 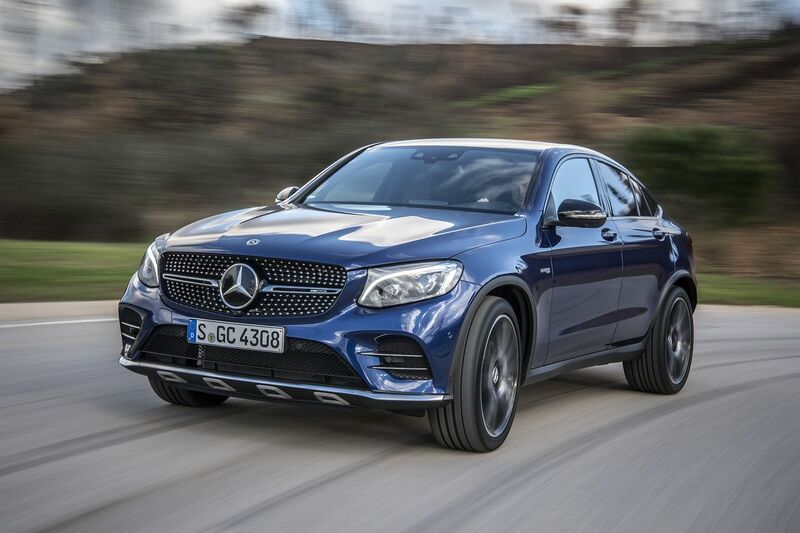 One day, there may be a GLC63 Coupe, and it'll likely be mental and hilarious. The 43 isn't that. Its looks compromise both taste and space, it doesn't offer a spectacular driving experience and it's a touch too quiet. This doesn't feel like it should have an AMG badge on it, really. 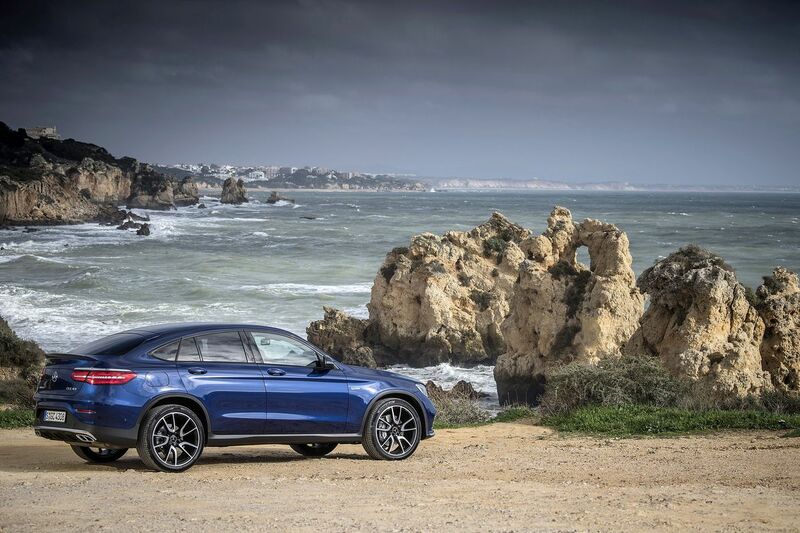 If you're looking for a small, fun to drive SUV, Porsche's Macan is the better bet. And it doesn't have a stupid rear roof line.